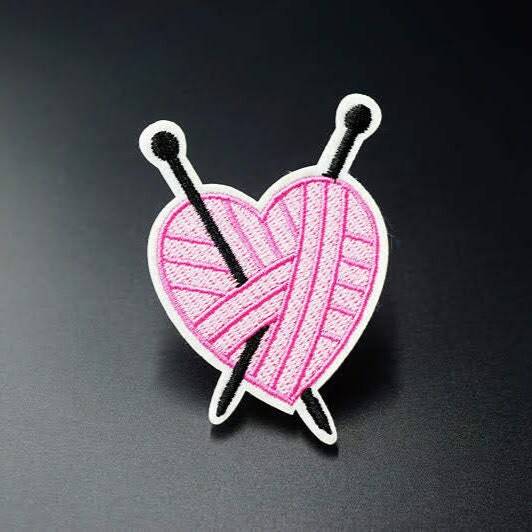 A cute iron on badge - a pink "heart of yarn" with knitting needles. 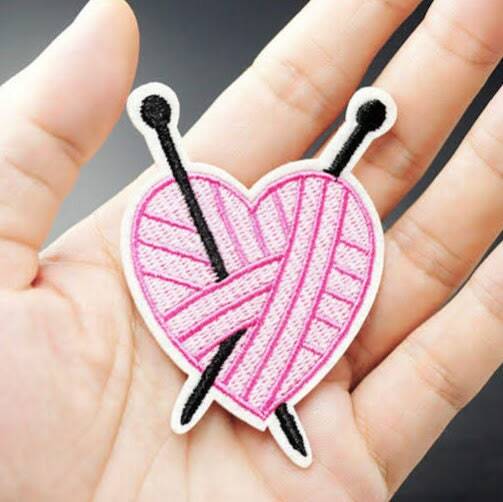 On the reverse of the garment, iron the patch until it's properly adhered. You could add some hand stitches to make it extra secure.